See how many calls were generated by your Trudon advertisements. Find out how many calls were missed, how many were answered and capture each caller’s number. Logimeter even allows you to listen to the answered calls. Logimeter is a solution that tracks the number of telephone responses from the Trudon advertisements placed (on and offline) and provides this information in real-time in a web-based dashboard. Features and benefits of Call Tracker (Logimeter)? With a real-time tracking tool that stores all the response data, you get a true understanding of what advertising works. Thereafter you can optimise your Trudon advertising spend accordingly. Logimeter also provides a tool which ensures your business never loses a phone lead again. They capture the telephone number of anyone trying to contact your business when the phone is engaged or unanswered. Logimeter will then automatically send you an email/sms detailing the caller’s telephone number, the advertisement they were responding to, and the date and time of their call. Call recording assists with training staff and quality assurance. Each recording is accessed via the Logimeter web dashboard. These are SMS’s sent to clients to notify them that they have missed a call and includes the caller’s telephone number. These are SMS’s sent to individuals who tried to call an Logimeter number and our client’s phones were engaged or unanswered. How does Call Tracker (Logimeter) work? You will be allocated a unique local or non-geographic (087) number. If you have more than one number listed in your advert, you will be given a Call tracking number for each listed number. You advise Trudon which telephone number you want the calls transferred to. This transfer is seamless and immediate. On publication of your advert, Logimeter will provide telephonic training on how to use the dashboard and supply your own personal log in details. Once the advert is published, you can log into the Logimeter web dashboard to see how your adverts are performing in real-time. 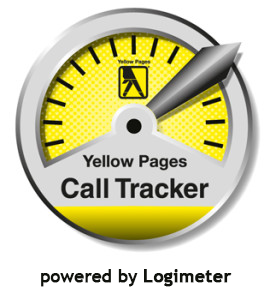 Who can benefit from Call Tracker (Logimeter)?